Unlike more well-known (and more expensive) means of marketing, promotional products can be customized and implemented in many radically different ways. This versatility is a double-edged sword; it gives marketers more choices, but it also means that there are many different opportunities to make mistakes along the way. When using promotional products for advertising or marketing, keep these common mistakes in mind so that you can take steps to avoid them. Before you choose the type of product or design that you want to use, you should first decide on the purpose of your promotional product campaign. Do you want to increase traffic to your website, encourage mailing list sign-ups, or simply increase brand awareness among your key demographic? Each of these purposes may demand a different product, design and distribution plan. When you know exactly what it is you hope to achieve, that information will influence your choices as you create and distribute your products. Without a clear goal or desired result, most marketing campaigns are doomed to fail before they even really begin. Once you’ve determined your campaign’s purpose — and before you actually start purchasing products — you should decide precisely how you’re going to disseminate your items to your recipients. If your goal is to encourage repeat business, including a promotional product with each customer’s purchase isn’t a bad idea. If you want to attract new customers, giving out free gifts at a trade show is a great way to do that. Remember that handing products to everybody in sight is rarely an efficient method–instead, target the people that matter most. For example, ask potential recipients to first sign up for your mailing list or complete a customer feedback form before receiving a free gift. Your distribution plan is what makes achieving your goal possible, and it will prove invaluable when choosing the right promotional product for your business. An especially common blunder is selecting a promotional product that you like, as opposed to one your target audience will like. Rather than appealing strictly to your own taste, popular trends or the uniqueness of the item, consider what will be well-received by the people you’re targeting with your campaign. A custom beer koozie is great for a bar or brewery, but there are many businesses that it wouldn’t be as well-suited for. 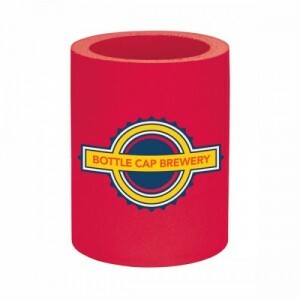 Beer koozies make fun and useful promo products for bar patrons–but if they’re meant for an office supply store, a health care provider or (God forbid) a company targeted towards children, then there are definitely more appropriate products you could choose for that particular clientele. Just because a product is related to your business doesn’t mean it’s something your customers will want. For example, a custom printed wrench or screwdriver probably wouldn’t make a good gift for potential customers of a mechanical contractor; people come to a contractor so that they don’t have to use such tools themselves. Nor would it make much sense to give them to the company’s employees, who likely already have expert-quality tools that they prefer using. Research the personal interests and hobbies of your target demographic, and find a product that will appeal to them. One of the major advantages of promotional gifts is that they’re usually fairly inexpensive and cost-effective when compared to other types of marketing. It might be tempting to save as much money as possible and buy the cheapest products available–but sacrificing quality for the sake of saving a few bucks can actually cost you moremoney in the long run. Going too cheap tends to result in promotional products that are visually shoddy and, at worst, barely effective. With an item that looks and feels substandard, you’re unlikely to see much of a return on your investment–in fact, it may even worsen people’s opinion of you. You don’t necessarily have to break your budget, but a product needs to be effective before it can be cost-effective. It’s not uncommon for business owners to pass out promotional products with nothing more than a simple company logo on them. However, playing it safe can be problematic because people are less likely to respond to a design that’s boring and uninteresting. 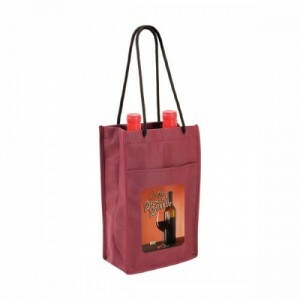 Rather than using a simple text-based logo, this wine bag makes use of professional full-color photography. Your product should be recognizable as part of your company brand–whether that comes from the design, color scheme or message. It should also get people interested in your business, and a great way to do that is with unique and aesthetically pleasing imagery and words. Customize your items with a catchy slogan or eye-catching pattern to get people’s attention and inspire a positive reaction. Even the most gorgeous design won’t do you much good if your product doesn’t have any way of getting your recipient to take action. You have limited space to work with, so it’s vital to make every word count. Consider the goal of your campaign, and include the information that will be most effective towards making it a reality. This magnet for a produce market includes a highly noticeable phone number to encourage delivery orders. At the very least, you should give recipients some easy way of reaching you. This could be an address, a URL, a phone number or even a QR code, depending on your particular business. 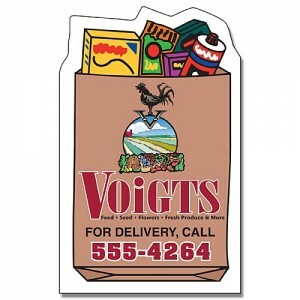 For example, custom magnets with a prominent phone number are quite popular with grocery stores and restaurants that have a delivery service. Many promotional product companies can handle rush orders with little to no problem. But waiting until the last minute can cost a lot more and gives you less time to effectively implement your distribution plan. If you need your products in time for a scheduled event (such as a conference or trade show), it’s important to give yourself enough lead time between your purchase and the event. Ordering your promotional products approximately three months prior to when you plan to begin distributing them will save you both money and stress. Don’t rush through the planning stages of your promotional product campaign, and don’t simply dismiss its value because of its relatively low price. Effective promotional marketing can give you the results you’re looking for, as long as you avoid these frequent mistakes.